This blog often describes friction between state and local election officials. Today’s story, however (courtesy of electionlineWeekly’s Mindy Moretti) is an example of how the two levels of government work together in a time of need – in this case, a death in the election family. Thanks, Mindy! The residents of rural McPherson County, S.D. — where there’s a square mile of land for every three people — knew Steve Serr in a variety of ways. Some knew him as the voice behind the Eureka Lakeside Ballpark, some knew him through the church choirs he directed and some knew him through the Long Lake Community Band that he also directed. But where all of McPherson’s 18-and over population knew Serr from was the county’s auditor office. For almost 30 years, Serr oversaw the elections in this county of about 2,500. Serr died unexpectedly on Saturday May 5. He was 64. Now, not only is this small community coming to grips with losing a lifelong friend, they are also moving forward and making plans for the June 5 primary election. 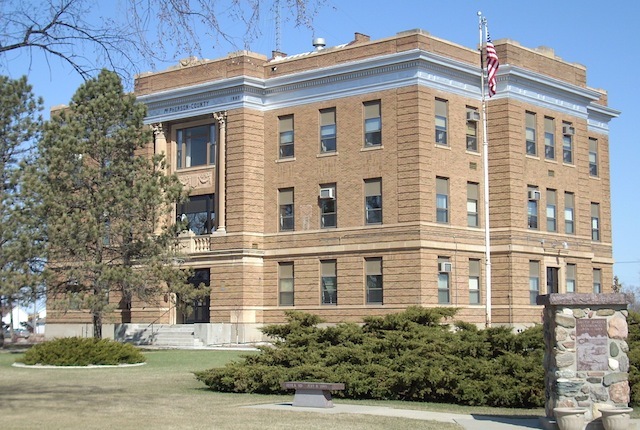 As a result of Serr’s death, the McPherson County Commission invoked South Dakota Law 12-18-41 and requested that the secretary of state’s office conduct the June primary. “In the recent years preceding the introduction of this law, we had instances where a county courthouse burned down, a school literally exploded from natural gas, and a county who was supervising an unorganized county’s election, indicated they might refuse to continue to do so,” Gant explained. He said that in no case were there any provisions on how – if an election were to be held on that day – to conduct the election. “It was a glaring error, and could serve to prevent people from voting,” Gant said. According to Gant, this is the first time that the law has been used since going into effect. Guthmiller, who is new to elections, said the office is continuing on with its day -to-day duties and that other county offices and the secretary of state’s office have been helpful. But more than the secretary of state’s office, more than her colleagues in the county, there is one person who has helped Guthmiller get ready for the June 5 primary more than any other. Be the first to comment on "South Dakota SoS Steps in to Help After Death of County Election Official"